There are no solved problems listed on our records for this Nintendo DS games. To submit a problem or give a solution for an unsolved problem, please see the list on the right. There are no unsolved problems listed on our records for this Nintendo DS games. To submit a problem or give a solution for an unsolved problem, please see the section below. All problems on this page have been submitted and answered by users. If you have a problem with Ignition Entertainment's Bubble Bobble Double Shot , please submit it below and we'll post it here. 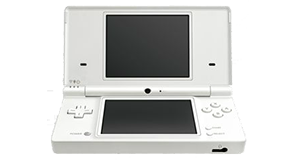 If you have to open your DS up, do so with extreme caution. You will need a special three-pointed screwdriver to do so. DO SO AT YOUR OWN RISK! High School Musical: Makin' the Cut! Cooking Guide: Can't Decide What to Eat? Dr. Seuss: How The Grinch Stole Christmas!